Anniversaries are a big deal, especially if you’re celebrating a milestone like 25 years. 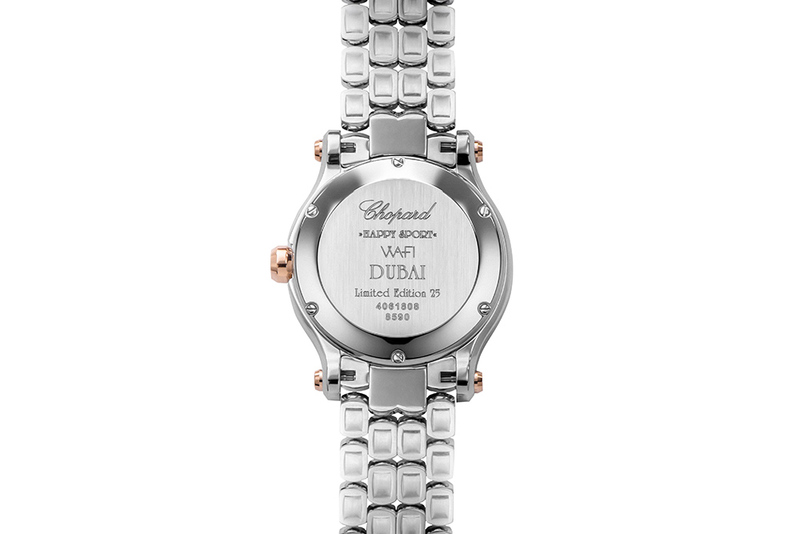 Jewellery Maison Chopard are marking quarter of a century of their Wafi Mall boutique – their first established store in the UAE – with a limited edition of their famous Happy Sport watch. 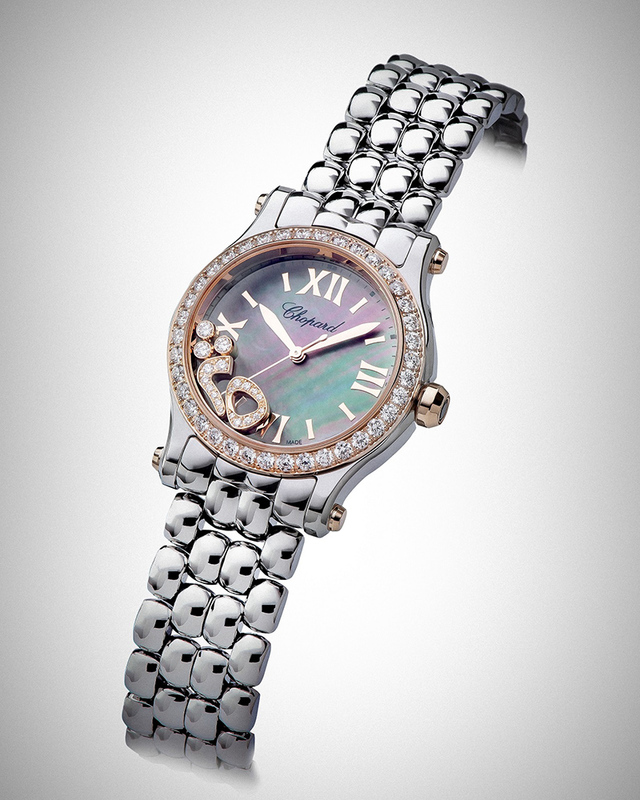 What makes this model even more special is the fact that it was released in 1993, the same year the Chopard and Ahmed Seddiqi & Sons opened the first boutique in the region. This special edition timepiece features a stainless steel ‘rice bead’ bracelet reflecting the design of the very first Happy Sport watch dreamed up by Caroline Scheufele. Whirling alongside the legendary dancing diamonds on the dial are two highly original lucky charms depicting Urdu numerals: a ‘2’ and a ‘5’ in tribute to this occasion. 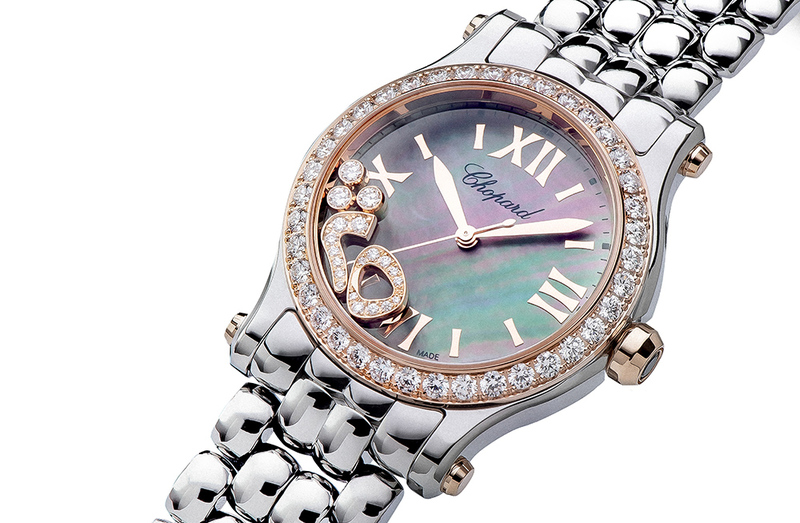 The timepiece features a two-tone identity through a 18ct rose gold and stainless steel 30mm case, topped by a diamond-set bezel and framing a Tahitian mother-of-pearl dial adorned with dancing diamonds as well as the two lucky charms. The brand will only release 25 models that will be available exclusively at their Wafi Mall boutique.